The one FREE online tool that transformed our finances (and continues to do so) was, hands-down, automation. 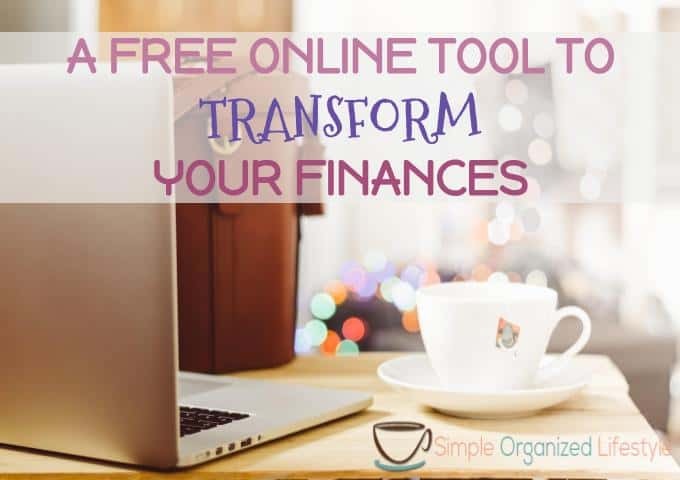 Automating our finances has been an amazing stress reliever and time saver. It took just a few minutes to set up each account with our bank routing information and the account numbers. If this seems like too much of a hassle, most checking accounts offer a bill pay service for free so you can set everything up from one place! It’s a game changer for your finances, especially if a portion of your income goes to savings first. Here are 5 benefits and reasons why automating our finances has been a game changer. It can do the same for you! When a portion of your income goes directly to savings each time you are paid, your savings will start to grow and scale. This should be the first automatic payment you set up. It’s your money so pay yourself first! Even if it’s a small amount at the start, this will transform your financial situation over time. First, it builds up your emergency fund. Next, it becomes several month’s worth of living expenses and you are well on your way to building wealth. Modern technology comes with things that steal our time (like email) so we might as well use the tools that saves our time, especially if they are free! If you are taking the time each week (or month) to write out and mail checks, what else could you do with that time? Automating will do that job for you and give you back your time to spend it on people and things that matter most. Automation tools take away the worry and hassle that comes from late fees or overdraft fees. We get busy with life and suddenly realize a payment was due the day before. Usually, it’s too late, and that’s how credit card companies and banks make a lot of money- they depend on our mistakes for their benefit. Don’t give them any more of your hard earned money for late fees! Some businesses offer a small discount when you choose to automate your payments. It also saves the cost or need for stamps! When your payments are made on the same day and on time each month, I think it gives you a much better standing when it comes to things like negotiating for a better interest rate. If you dread writing out checks and paying bills, then take away that stress with automation. It’s a “set it and forget it” method that tells your money where to go. Think of those feelings you get when you see the words “late fee” or “overdraft.” I’m getting stressed out just typing those words and haven’t had those kinds of fees in a long time. Avoid that kind of stress by automating your finances. What holds you back from automating? If you fear that automation will put you in the negative, then first you need to create a zero based budgeting plan. Most of these automation tools allow you to choose the date for withdrawals so you can set them up to flow in and out according to your budget. Is it fear of your account being compromised? That’s a risk you take anytime you pay with anything other than cash. Neither you or the businesses you work with want to deal with hacks and security issues so technology is constantly improving to reduce these risks. We view automation as an opportunity where the rewards outweigh the risks. Does it feel like loss of control? Quite opposite. Automation puts the power back in your hands as you tell your money where to go. If you decide to give it a try on a couple of accounts at first, I feel sure in no time you will have everything set on autopilot! It’s a powerful tool that can transform your finances and put you on the path to financial freedom sooner than later!